The Computer Gaming Issue contains an overview of all those cool DC comics computer games you probably missed out on in the 1980s. 16 pages. Ashcan-sized. Cover art by James Pascoe (Batman: Sword of Azrael, Legion of Super-Heroes) and back cover art by A. Kapellusch. Q: Okay, so it's just another retro-gaming fanzine. Why would I want this? A: Well, first of all, retro-gaming is awesome -- so that alone is worth the price of admission. 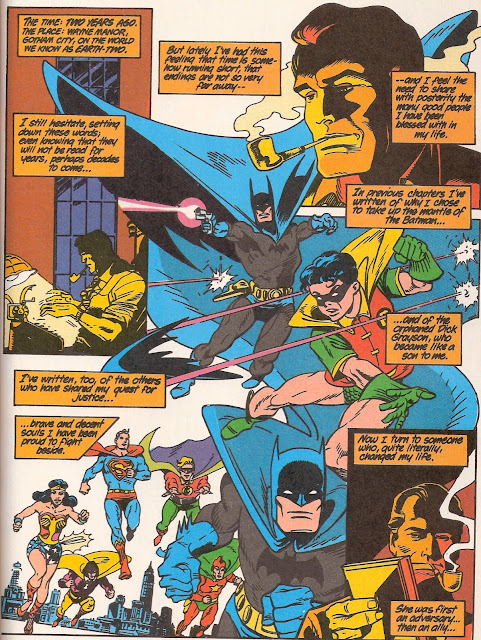 Secondly, it's not *just* a retro-gaming fanzine -- it takes an in-depth look at all the DC comics-related computer games released in the 1980s. Also, it's in 3D. 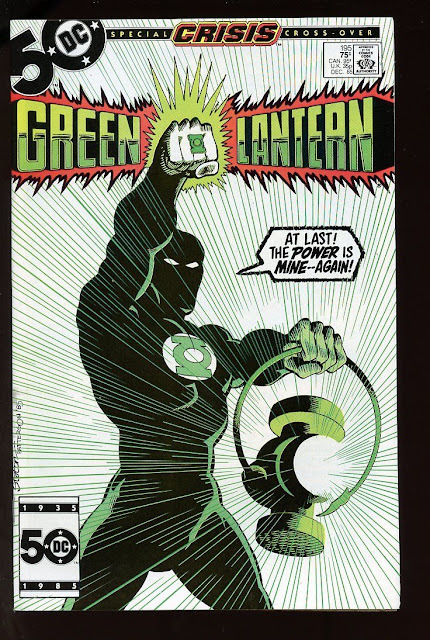 A: Exactly -- it's a full-color 16 page (includes front and back covers) DC comics fanzine printed in 3D. We've even include a pair of anaglyph 3D glasses to view the fanzine. Q: How many of these 3D fanzine do you have in stock? A: We're not telling -- but once they're gone, we're not printing any more. 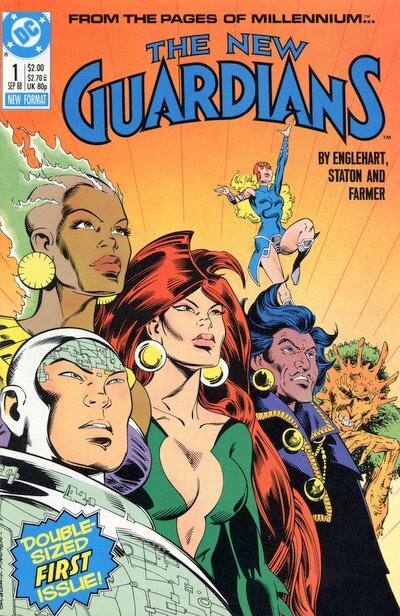 Q: Your previous fanzine had an interview with Michel Fiffe, Steve Lightle, J.M. 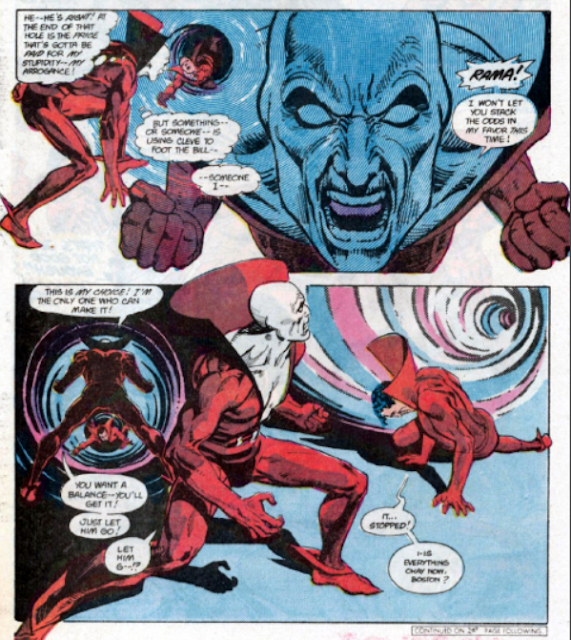 DeMatteis, and Rick Veitch. Isn't retro-gaming a bit out of your wheelhouse? A: Not at all. If it's eighties-related, we're on it. 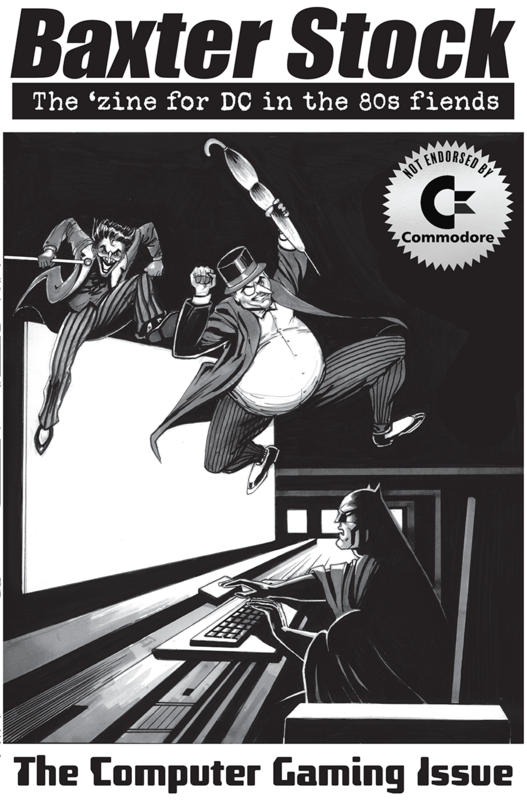 We've actually written a few video game reviews for this site: Reviewing the Batman Returns computer game (DOS), Replaying SEGA's Batman: Revenge of the Joker, and Taking a look back at 1994's The Death and Return of Superman video game. In fact, Justin is a card-carrying member of Vintage is the New Old and, to date, has written one article for them (with more to come, I'm sure). Q: So... are you changing your format? 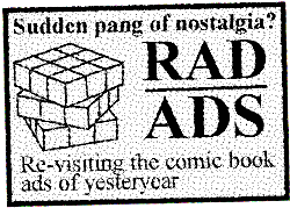 Will DC in the 80s/Baxter Stock now become a retro-gaming site/fanzine? A: Nope. This issue is just a one-shot until our next issue of Baxter Stock is ready -- hopefully for early 2018. Consider this as Baxter Stock #1.5? Q: I'm color blind, so red and blue 3D glasses won't work for me OR 3D images give me headaches OR I refuse to support the red-and-blue 3D anaglyph industry for my own personal reasons. A: No problem, we've got you covered. A black-and-white version of this fanzine is also available. Prices are subject to increase once the initial pre-order drive is done. Q: I want one! How do I get one? 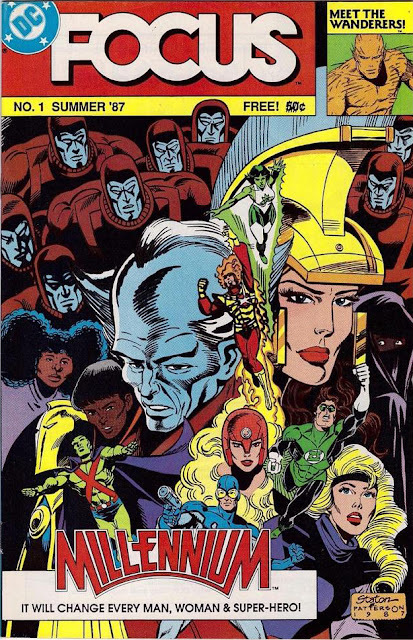 A: Send an e-mail to dcinthe80s@gmail.com, include your mailing address and how many copies you want. We'll take it from there. Q: How soon will I get it? A: I imagine we'd be shipping in January 2018 after the Christmas rush is over -- and since we're located in Canada, depending on where you live, it might take a week or two to arrive. Q: Are there any more copies of your first zine left (the one with all the interviews)? I want one of those, too. Q: I live in [someplace that's not Canada or the United States], will you ship to me? A: Yes. Yes, we will. 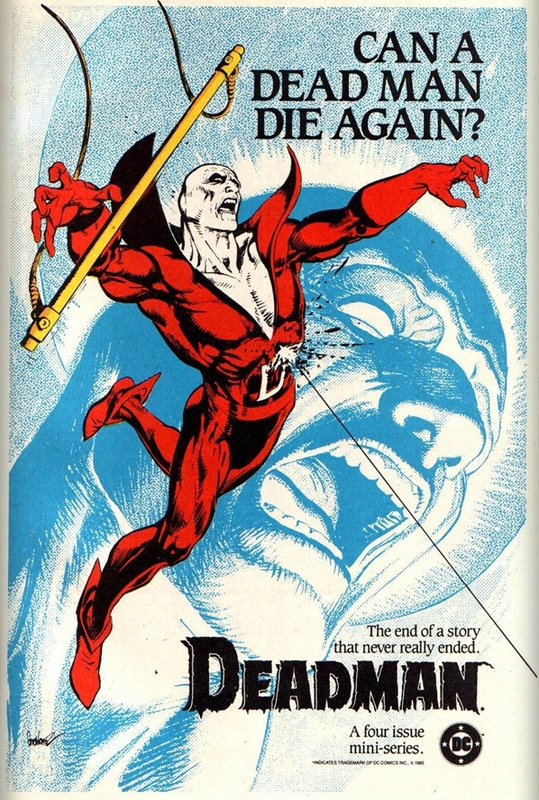 While the 1983 Vigilante ongoing series kept most of us on the edge of our seats (let's not even mention the ending), it was during writer Paul Kupperberg's tenure that new and not-so-new characters (ex: Harry Stein, Valentina Vostok/Negative Woman, Black Thorn, Harvey Bullock, The Agency, etc) would be introduced to the title in preparation for the upcoming Kupperverse Paul was gradually building. Most surprising -- to old school Charlton Comics fans, anyways -- would've been the very dramatic re-introduction of Peacemaker to the modern DC Universe. Vigilante #36 (1986). 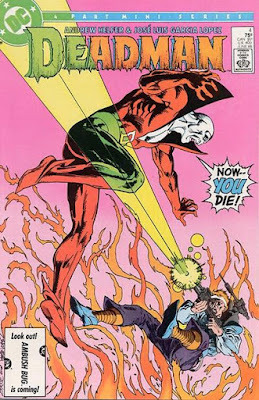 Mike Grell cover. This would've been an instant 'buy' for me if I had seen it on the shelves. Created by Joe Gill and Pat Boyette, Peacemaker first appeared in 1966's Fightin' 5 v1 #40 published by Charlton Comics. In an 8-page back-up feature, the reader is introduced to Christopher Smith: an American peace diplomat... who moonlights as Peacemaker: a man who loves peace so much that he's willing to fight for it. Fun Fact: a 'Peacemaker' is also another name used for the Colt Single Action Army revolver and was the standard US military service revolver in the late 1800s. 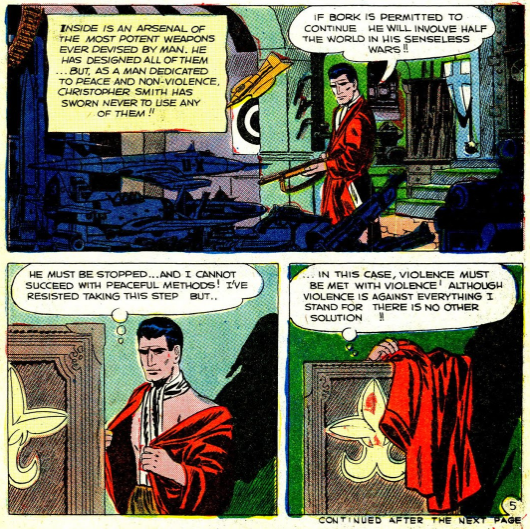 Panels from Fightin' 5 v1 #40 (1966). Fightin' 5 was cancelled after issue #41. 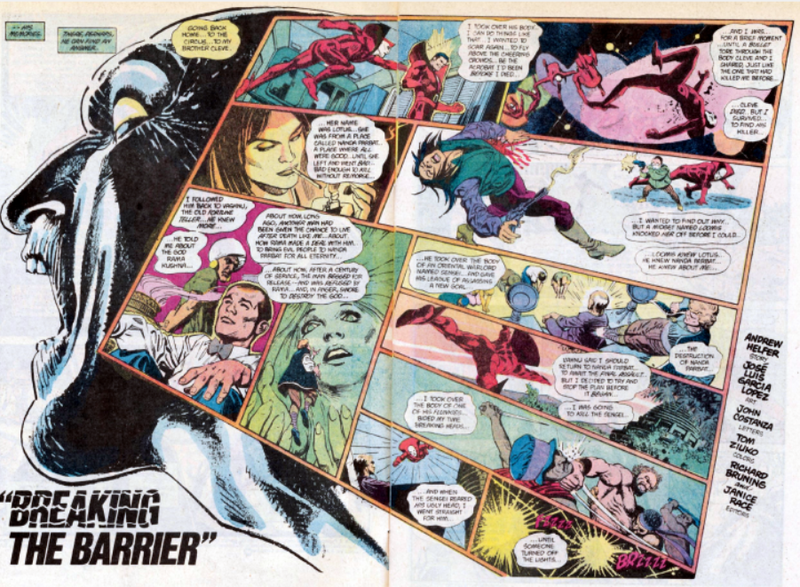 Peacemaker then headlined his own 1967 ongoing series -- which lasted a total of 5 issues. Christopher Smith was depicted as a suave peace envoy (with a direct line to the White House) who used tools of diplomacy to resolve global conflicts before they could escalate. When that failed, he became the Peacemaker. This was a last resort, of course. Smith HATES war and violence. Peacemaker #4 (1967). Charlton comics. 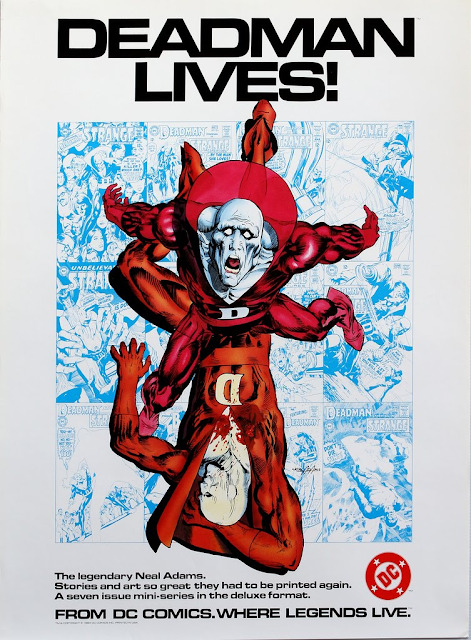 Typically, the threats came from a communist country wielding an atomic-powered whatever, but this was during the mid-to-late sixties, and the Cold War was all anybody was talking about anyways. Peacemaker's weapons played a bit more on the sci-fi side: jetpacks, a helmet with a laser on it, some sort of gizmo that can scramble enemy missile commands, and more that I'm forgetting -- all of these were Smith's own inventions. Try to image if James Bond secretly slipped into a costume to battle villains and you've got Peacemaker. A bit more of Peacemaker's history was expounded on in his 4th issue: he operates out of a Chateau (location never specified), his father was an army officer turned statesman, his mother was a laboratory researchist, he's a brilliant inventor who has helped the United States on numerous occasions... and his major motivation for all this? 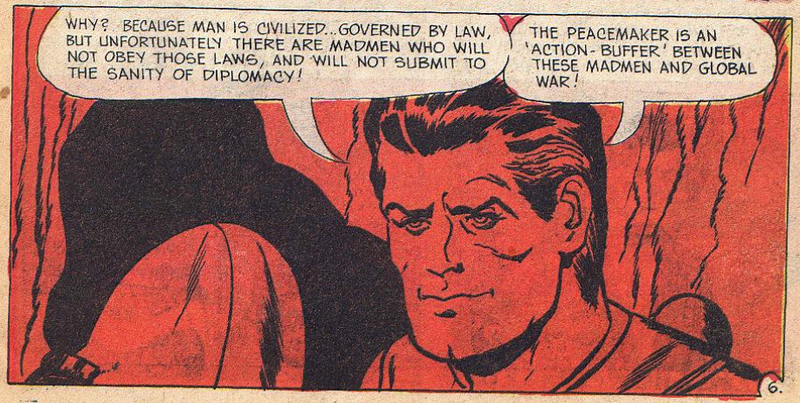 Peacemaker #4 (1967). Charlton comics. What an altruistic guy! 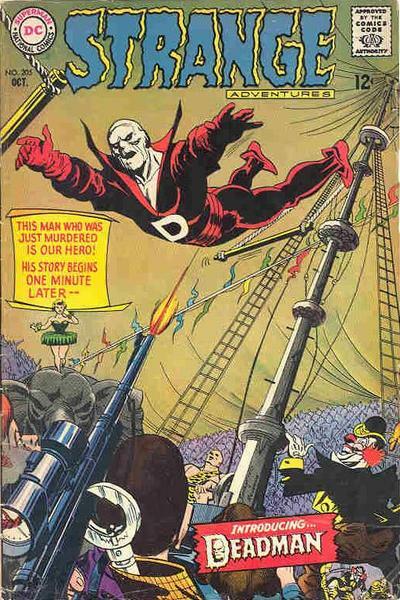 Surprisingly, for such a fondly-remembered character, Peacemaker only appeared in eight Chartlon Comics issues -- yet was still considered to be among the Charlton Action-Heroes line-up. 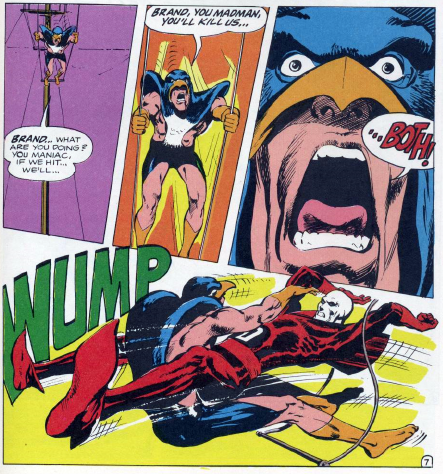 I could've sworn he was a member of Americomics' Sentinels of Justice in 1983 with the rest of the Action-Heroes, but apparently he didn't make the cut. 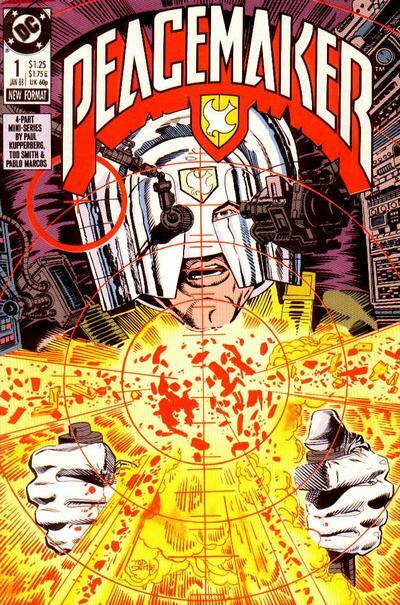 I was hoping to discover that Paul Kupperberg was one of the original writers for Peacemaker and this would've all been tied into a neat lil' serendipitous bow -- but alas, that is not the case. 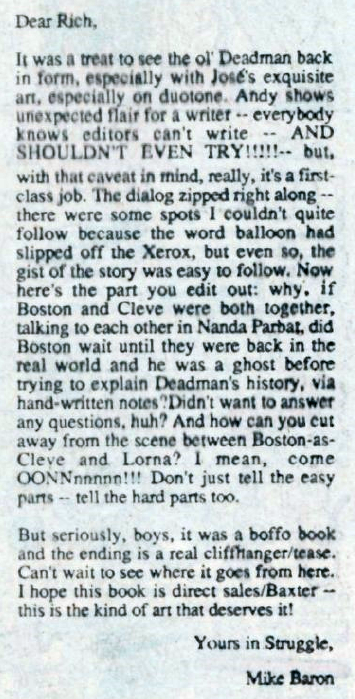 For anyone wondering: Kupperberg had indeed written for Charlton Comics... but it was in 1976...and it was only for supernatural anthology titles (i.e., Haunted, Ghostly Haunts, Ghost Manor). 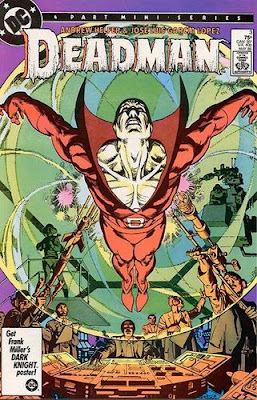 If you had only started reading comics in the early 80s, Peacemaker would've been a totally NEW character to you. 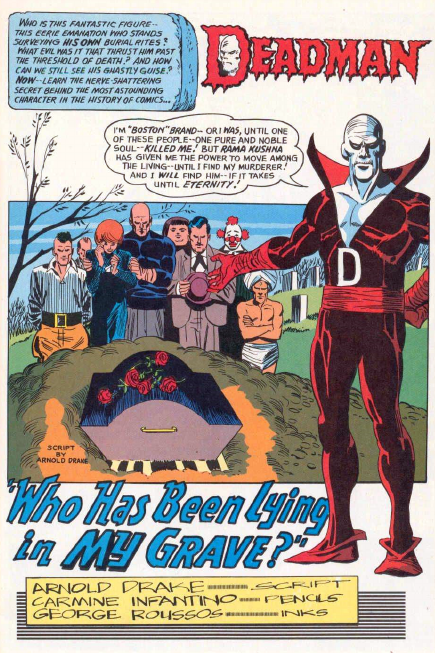 Prior to this, you might've spotted him in a few panels of the Crisis on Infinite Earths maxi-series, but the three-issue story arc in Vigilante #36 - 38 allowed Kupperberg a chance to flesh out this relatively obscure character to a brand new audience -- and what we got was a completely different Peacemaker from the version Charlton Comics fans grew up reading. He still has an arsenal of advanced weaponry, but now he's a little... 'unhinged'. He's a 'counter-terrorism freelancer' who loves peace enough to KILL for it. 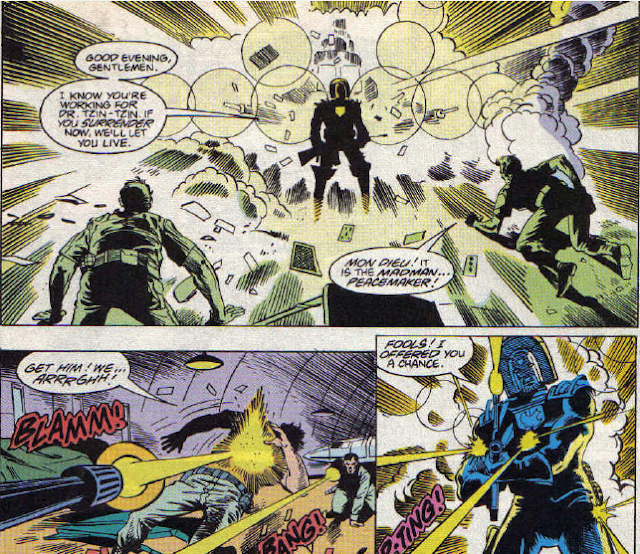 He has no hesitation blowing off a terrorist's head at point-blank range. Collateral damage is not an issue to him, he'll even fire on allies if it means getting the job done -- he's pragmatic like that. In his first post-Crisis appearance, Peacemaker has gone AWOL and intercepts a hostage situation facilitated by Arab terrorists. His employer (the Agency) worries that he's a liability and wants him terminated. 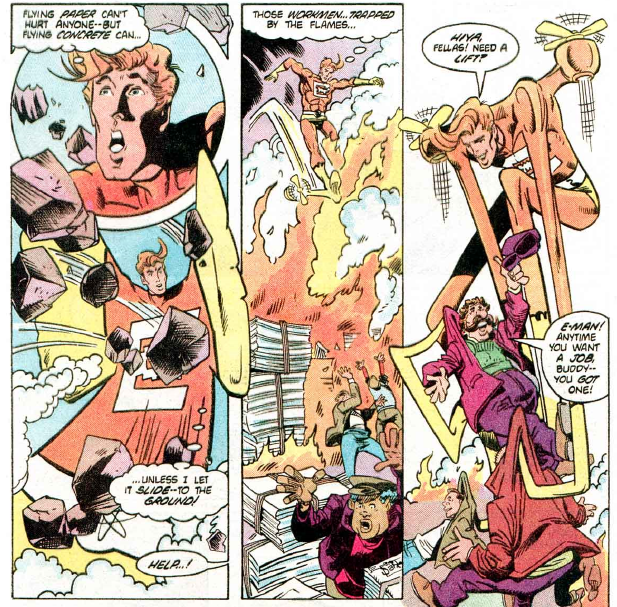 The machinations of these circumstances leads to an impromptu team-up with Adrian Chase. Absent is the debonair persona of Christopher Smith, and instead we get a disheveled civil servant who's apparently constantly talking to himself. 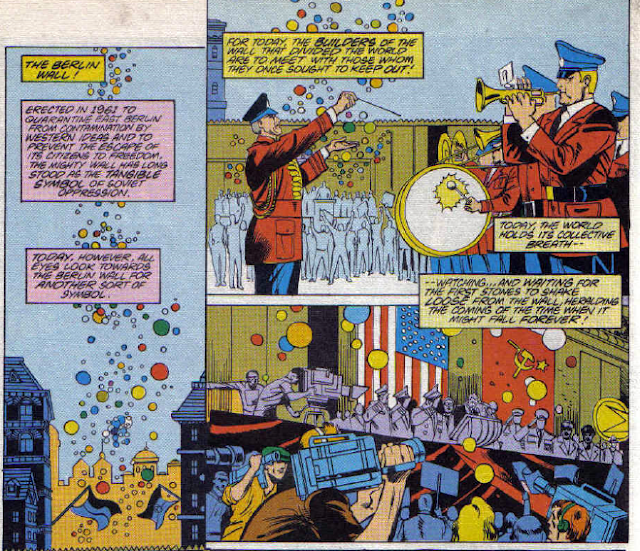 Kupperberg makes a point to demonstrate what a loose-cannon Peacemaker is, and we are treated to gratuitous displays of Christopher Smith dispensing hot lead and pro-Americana slogans. 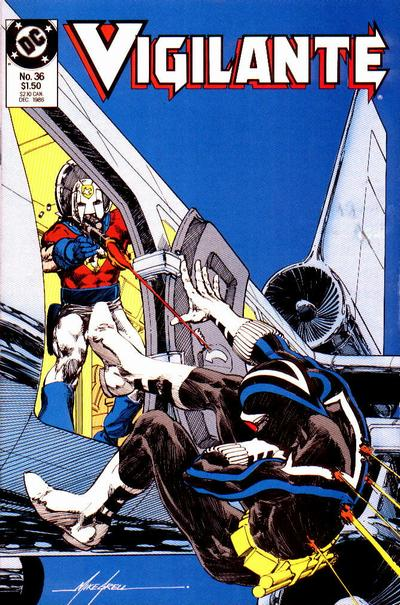 Remember: Vigilante was a direct market title -- meaning that it was not available on newsstands and could only be obtained if you went to a comic book shop or ordered a subscription -- so the creative team could get away with a little more violence and mature content than would usually be found in a DC title. This story arc must've been popular, because Peacemaker returned for another three-issue story arc in Vigilante #41 - 43. 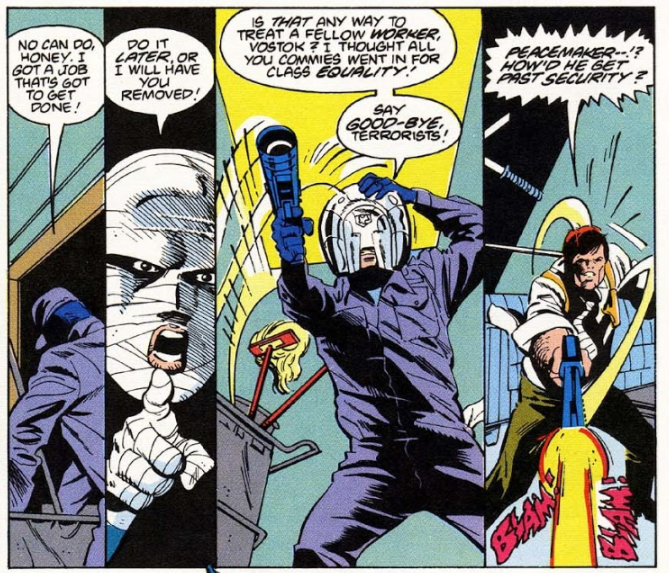 There's a lot more emphasis on just how mentally unstable the Peacemaker is -- he's having full-on conversations with his helmet, and is convinced there's some sort of conspiracy against him (which is his main driving reason to return to New York City and kill members of the Agency). 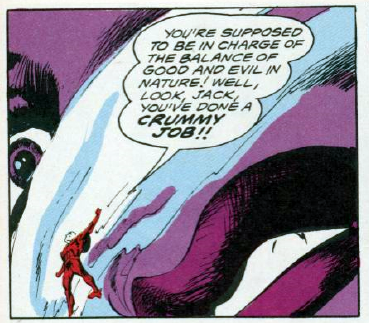 panel from Vigilante #41 (1987). We get a bit more insight into Peacemaker's relationship with his helmet -- he's guided by the voices of the souls he executed and this seems to drive him on his quest for vengeance. After a narrow defeat, the story arc concludes with Peacemaker being detained. Kupperberg's re-invention of Peacemaker as a 'take-no-prisoners patriotic killing-machine' was kind of an extreme parody of the blockbuster Hollywood action heroes of the time combined with a healthy dose of Reagan Era American flag-waving patriotism mixed in. During the 1980s, the United States' foreign policy was largely centered around winning the Cold War and ending communism, and the courageous muscle-bound American soldier single-handedly mowing down all of America's enemies with a large assault rifle (think: Sylvester Stallone in Rambo, etc) had pretty much become the people's hero. Kupperberg kept Vigilante grounded in reality and based many of his storylines on current events -- plane hijackings were the terrorist operation du jour (there were eight international plane hijacking between 1984 and 1985) -- and the infamous Karachi Pan Am Flight 73 hijacking occurred the same month that Vigilante #36 was printed. Vigilante #42 (1987). Again with the "commies". sigh. 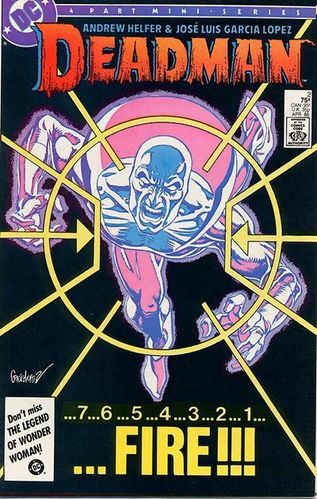 Peacemaker #1 (1988). Cover by Tod Smith. 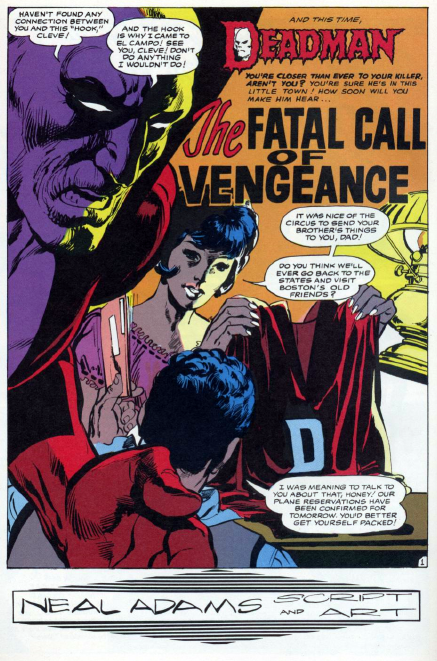 Writer Paul Kupperberg and illustrator Tod Smith rejoin forces (this time with inks by Pablo Marcos) to bring us a new chapter in the life of Christopher Smith and picks up right after we left off in Vigilante #43. While his appearances in Vigilante made Peacemaker out to be a morally reprehensible character, this mini-series paints him as a tragic hero who emotionally feels the toll of each life he didn't save from terrorism. 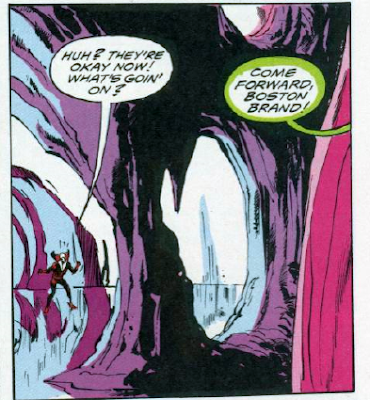 panel from Peacemaker #1 (1988). 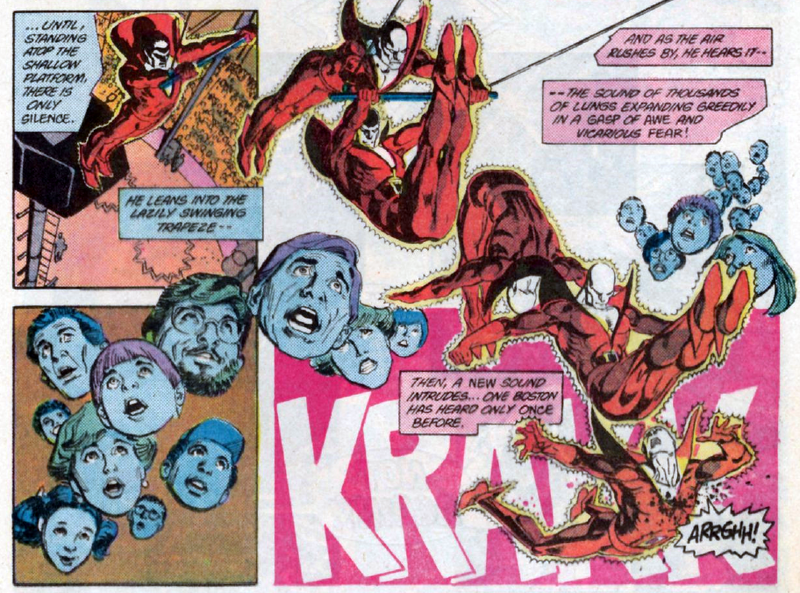 Pencils by Tod Smith, inks by Pablo Marcos. panels from Peacemaker #1 (1988). 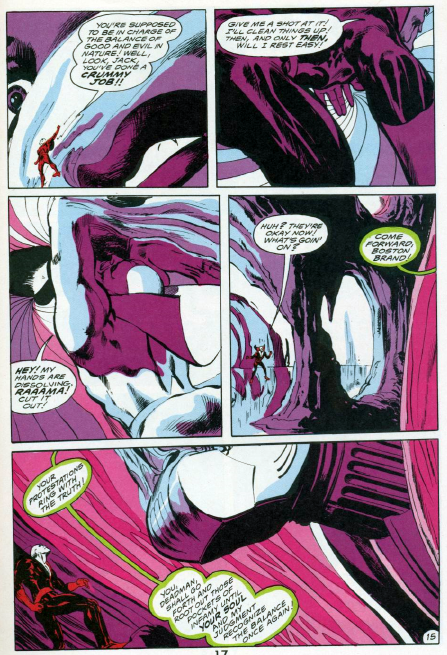 Pencils by Tod Smith, inks by Pablo Marcos. 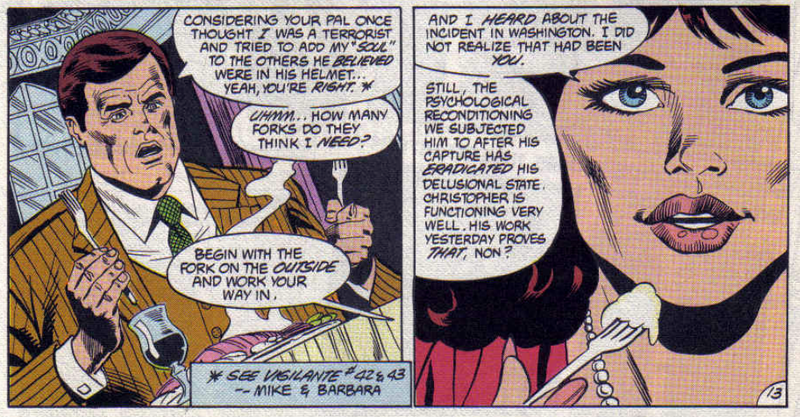 I'm just going to re-iterate that the Christopher Smith/Peacemaker in this mini-series is a VERY different man from the one we saw in Vigilante; he runs something called the Pax Institute [some sort of humanitarian organization? 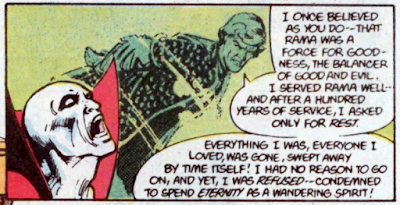 ], he feels guilt about not stopping terrorism fast enough, he lives like a billionaire in the Swiss Alps, he doesn't want to take human lives if he can help it, and those deceased souls he collects in his helmet that talk to him? That's done with. Instead, he's got a different type of psychological demon to confront. 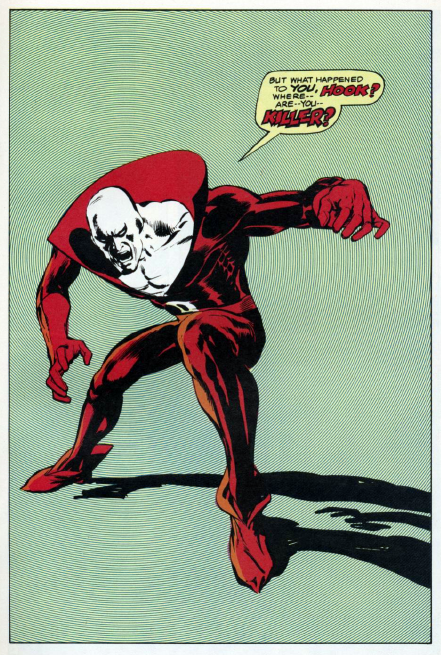 In a way, this is more like the Charlton Comics version of the character -- but he's still got residual mental issues. 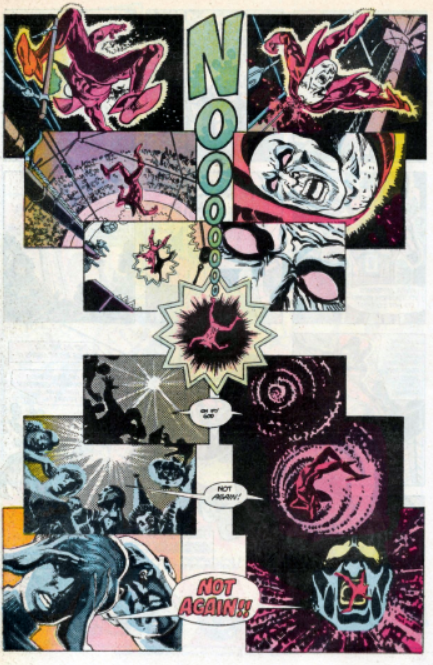 panels from Peacemaker #3 (1988). 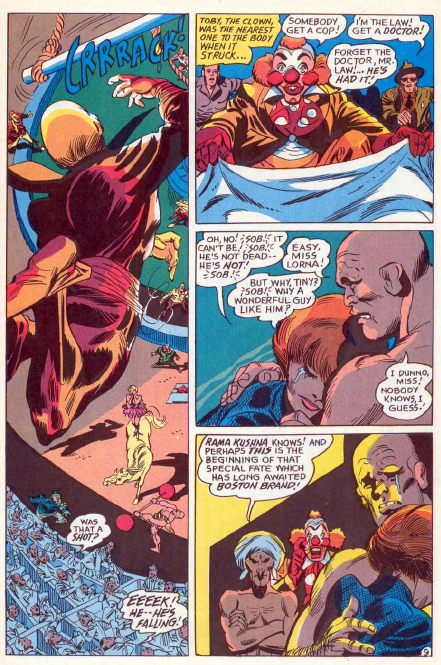 Pencils by Tod Smith, inks by Pablo Marcos. Seeing as how Peacemaker's modus operandi is stopping terrorism, this mini-series revolves around him trying to foil a large-scale international terrorist plot being spearheaded by none other than Doctor Tzin-Tzin -- all while battling his own personal demons, of course. 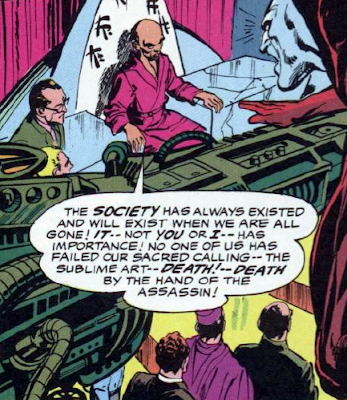 [In case you were wondering, Doctor Tzin-Tzin appeared in the mid-sixties as a Batman villain, and was more or less played up as a Fu Manchu knock-off. 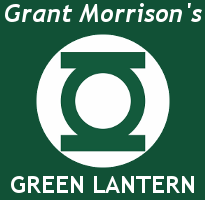 Last seen in a 1977 Batman story.] 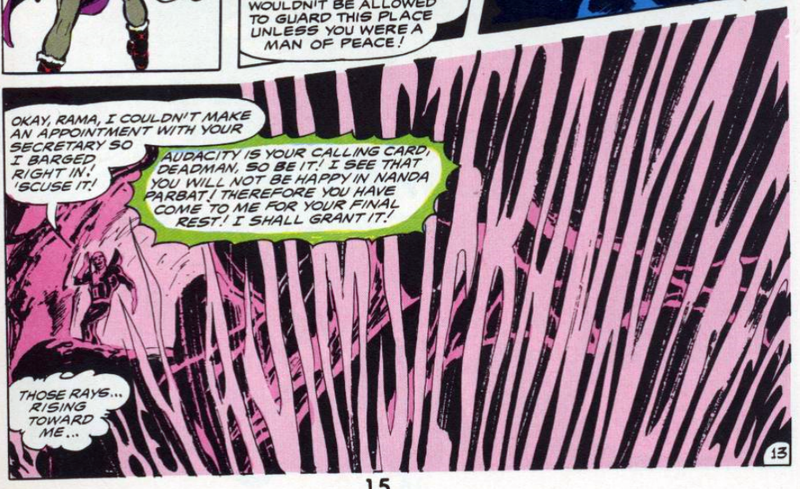 This is reminiscent of Peacemaker's earlier Charlton adventures in which he dealt with international threats. 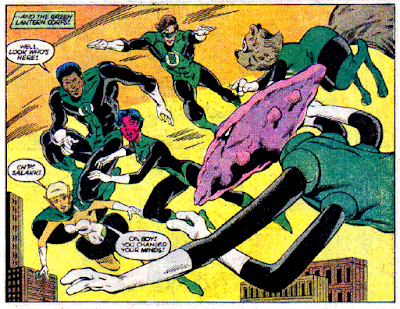 panel from Peacemaker #1 (1988). Doctor Tzin-Tzin! 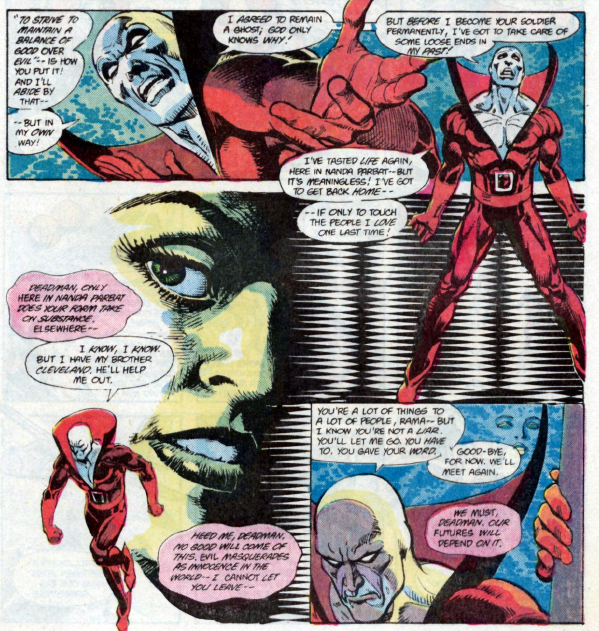 Kupperberg goes to great care to add details about Peacemaker's elaborately revised origin by including correspondences between various high-ranking officials at the end of each issue. These are actually pretty long and tedious reads, but they reveal how Christopher Smith became an anti-terrorist commando, we learn of something called PROJECT: PEACEMAKER and we get the full details on his support staff. 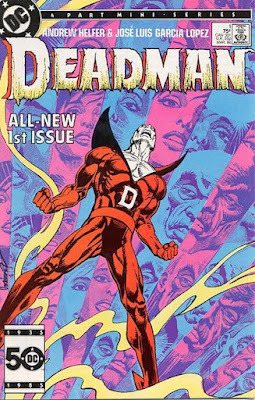 It was obvious that this mini was a pilot to see how an ongoing series would fare, and since an ongoing didn't happen we can only assume it didn't generate enough interest. [As far as I know, it was never reprinted, either.] To be honest, I had a bit of trouble maintaining interest in this mini -- it's heavy with international politics and seems extremely topical for the time it was written. Kupperberg is no stranger to writing about international political intrigue (see: Checkmate! 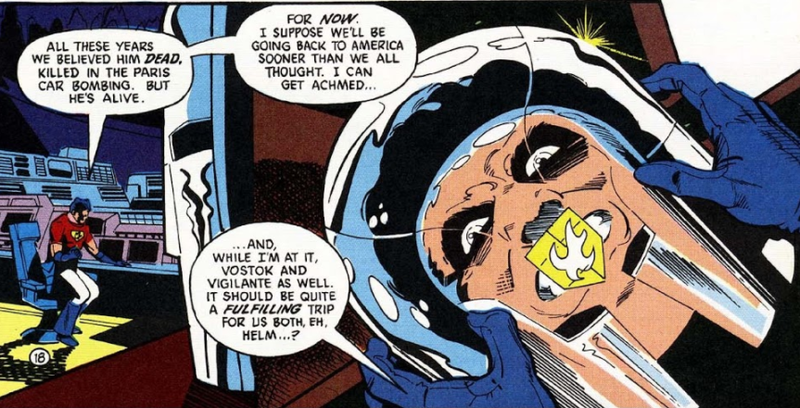 ), and -- from an 80s historical revisionist perspective -- rehashing the Cold War is kinda cool, but I just couldn't get into it and the plot kinda confused me. The art was okay -- lots of action sequences and the pacing was steady. The biggest surprise in this mini (for me, anyways) was the inclusion of Doctor Tzin-Tzin as the main antagonist -- mainly because he was a villain in one of the first Batman comics I owned. 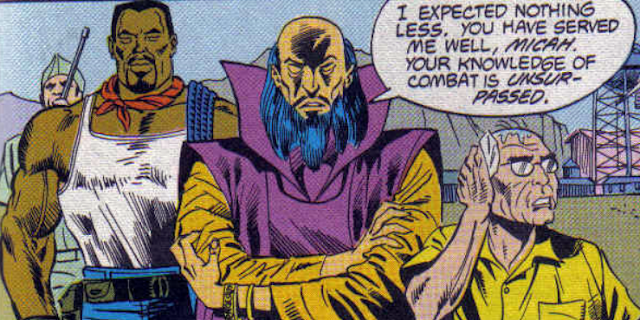 By 1988, I'm not sure if Tzin-Tzin was considered to be an offensive racial stereotype or just one of those Z-list DCU villains everyone had forgotten about, but it was entertaining to see this long-forgotten Batman villain appear in a modern story. 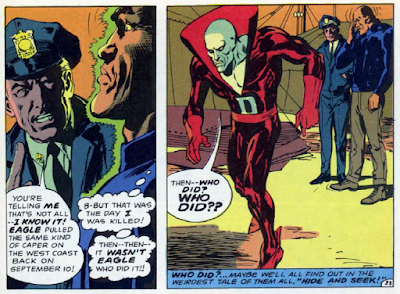 It kind of boggles my mind that the SAME WRITER could revamp a character so dramatically. I'd understand if it was a new writer who decided to undo everything Kupperberg had previously done, but frankly I thought the 'psycho' Peacemaker as seen in Vigilante would've made for a much more interesting character to read about. 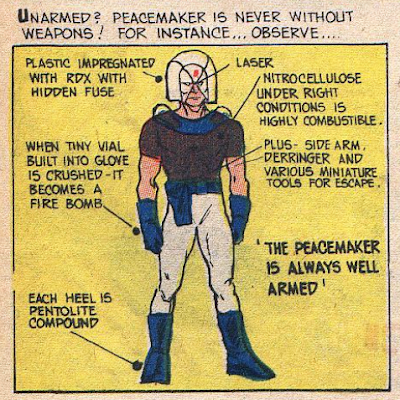 Don't get me wrong -- I still love the idea of Peacemaker, but this mini left thirty-something year old me a little underwhelmed. I'm sure 10 year-old me would've purchased it, regardless. 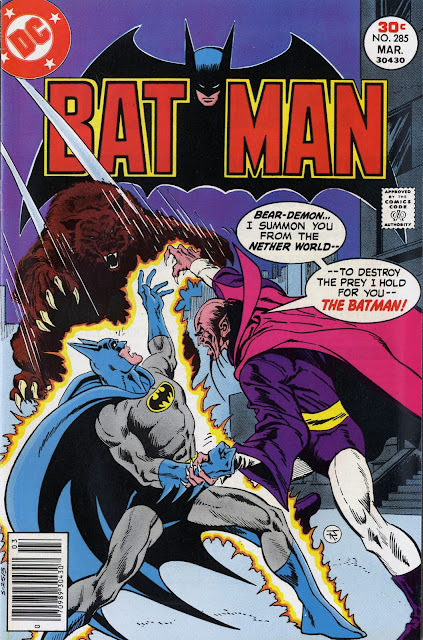 The Vigilante was not MY first introduction to Peacemaker -- it was from an old, tattered copy of Who's Who that my parents let me buy at a flea market one Sunday afternoon. I would've been around nine or ten years old at the time and probably didn't read his bio unless it was to check if he was a 'good guy' or 'bad guy'. To be quite frank with you, it was adoration at first sight. How could a 10 year old who played with G.I. Joes not be drawn in by a gun-wielding super-soldier with a radar dish for a helmet? And his radar dish helmet emits a sonic wave attack? And he flies around with a jetpack? Damn. Needless to say, I have a fondness for this character. This wasn't the end of Peacemaker, however. He would re-appear in Checkmate! and appear sporadically across the DCU shortly thereafter. panels from Peacemaker #4 (1988).